Offered in collaboration with The Institute of Internal Auditors (IIA), UCLA Extension’s exam review program is designed to help fully prepare students for the Certified Internal Auditor (CIA) examination. The instructor-led online review courses utilize The IIA CIA Learning System, a premier-quality exam preparation program developed by The IIA. Course materials are delivered in a blended format consisting of printed workbooks and web-based software. The CIA Review Online Program encompasses course sections based on the three parts of the CIA exam (Parts I-III). Students are encouraged to pre-study the IIA CIA Learning System course materials, which will be delivered approximately one week prior to the class sessions. Click on course title to review full course descriptions, fees and to enroll. This 4-week online review session covers the new CIA exam Part 1 topics including foundations of internal auditing, independence and objectivity, proficiency and due professional care, quality assurance and improvement program, government, risk management and control, and fraud risks. This 4-week online review session covers the new CIA exam Part 2 topics including managing the internal audit activity, planning the engagement, performing the engagement, and communicating engagement results and monitoring progress. This 9-week online review session covers the new CIA exam Part 3 topics, including business acumen, information security, information technology, and financial management. Review key CIA exam topics and learn helpful test-taking strategies, all while interacting with experienced instructors who keep students on track to meet their learning objectives. 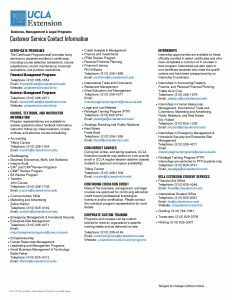 Available discounted fees to students officially enrolled in UCLA Extension’s Internal Audit Certificate, members of The IIA, and employers who have three or more employees participating in the program. Students are expected to take an active part in their learning. The printed workbooks and online study tools provide excellent resources that can help supplement the value of attending the instructor-led review sessions. Completing the interactive online review and testing, in addition to attending and actively participating in the class discussions and activities, is essential for getting the maximum value from this review program. 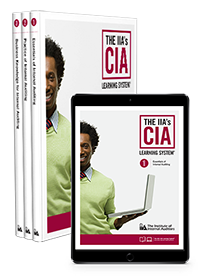 The IIA CIA Learning System is included in the course fee and will be shipped directly to students before the class begins. The Learning System includes the following: 1) IIA Learning Systems Workbooks, 2) Student Slides and Activities, 3) Practice Exam and 4) Access to StudyPLUS, which includes a CIA Exam tips and techniques video, a template to better understand exam questions, preparation guide and additional tips from successful candidates. 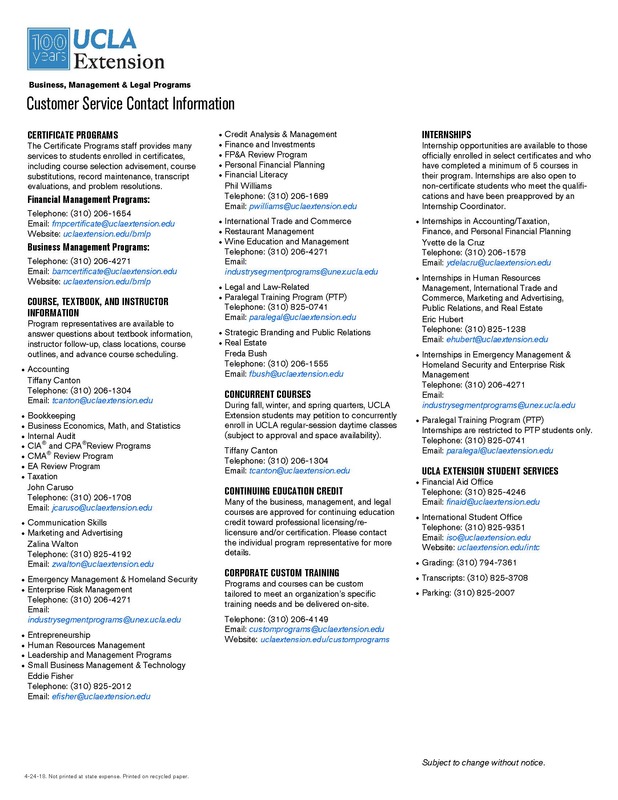 In addition, students will receive an e-mail providing information on how to access the online study tools and resources. Students must activate their account and enroll in the Learning System in order to access the online course materials and study tools. Students who enroll in the comprehensive sections will have online access for 2 years from the first time they log-in. Students who enroll in individual Parts have online access for 1 year. Courses in this program may be applied toward the State of California’s continuing professional education (CPE) requirement for the licensure of Certified Public Accountants. 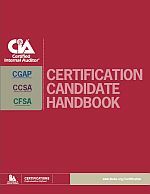 Changes are coming to the 2019 CIA Exam.